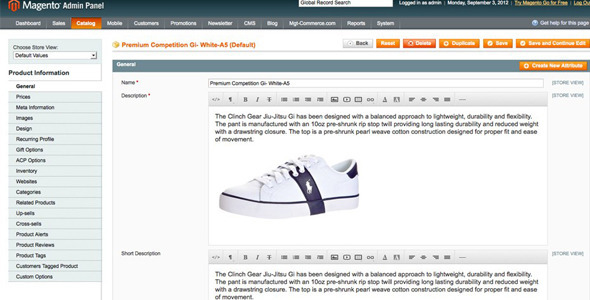 How to enable Spellchecker in Magento WYSIWYG editor? Then find “var plugins” (should be a handful of lines above the one you just changed), and update it as follows (this one tripped me up, as not doing this will simply tell TinyMCE to ignore that “spellchecker” button you just added). Finally, download PHP Spellchecker from TinyMCE’s website, and extract into js/tiny_mce/plugins/. Reload the admin, open a WYSIWYG editor, and there it is, at the end of the third line of icons!